Olive oil may not be best for heart health and preventing diabetes as first thought and people should use oils derived from nuts and seeds instead, a new study found. Oils rich in linoleic acid such as grapeseed, safflower, poppyseed, sunflower, hemp, corn, sesame and walnut packs a better health punch scientists said. The risk of heart diseases and diabetes are lower and people have leaner bodies if they use oils rich in linoleic acid rather than olive oil which is rich in oleic acid. Men and women with higher linoleic acid levels tended to have less heart-threatening fat nestled between their vital organs, more lean body mass and less inflammation. And higher linoleic acid levels also meant lower likelihood of insulin resistance, a precursor to diabetes. A higher leaner body mass also can increase life expectancy in the elderly by helping them remain active. Scientists said it was time to rethink which oil people used. Linoleic acid is a polyunsaturated omega-6 fatty acid abundant in many nuts and fatty seeds. Oleic acid is a monounsaturated omega-9 fatty acid found in olive, canola, peanut oil, macadamia and sunflower oil. It found inflammation decreased as blood levels of all these fatty acids rose. But higher levels of oleic acid or long-chain omega-3s did not appear to have any relationship to body composition or signs of decreased diabetes risk despite longstanding recommendations that people eat more of these “healthy” fats. Previous studies found just a teaspoon and a half a day of linoleic acid increased lean body mass and lowered fat in the midsection. The study was the first to examine linoleic acid alongside body composition and other health markers in people who hadn’t been given supplements or prescriptive diets. Because of previous research showing cardiovascular benefits of linoleic acid, the American Heart Association in 2009 recommended people take in at least 5 to 10 per cent of their energy in the form of omega-6 fatty acids, which includes linoleic acid. However many low-cost cooking oils rich in linoleic acid disappearing from shops as food manufacturers turned to genetically modified oils higher in oleic acid. One reason was a shift away from trans fats. When linoleic acid is made solid for processed foods, it is more likely to convert to trans fat than its oleic cousin. 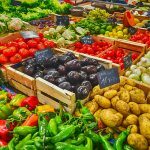 So oils, notably safflower, sunflower and soybean, now routinely contain less linoleic acid – it often makes up less than 20 per cent of the fatty acids . Prof Belury said grapeseed oil for now remains an excellent source of linoleic acid, which constitutes about 80 per cent of its fatty acids , with corn oil also a decent source. The study was published in the journal Molecular Nutrition & Food Research. 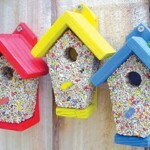 Feed the birds more than tuppence per bag but it’s worth every penny! 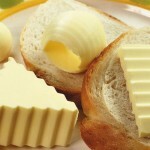 Is butter your friend or foe?